Things seemed to go well for Visual Kei band ZigZag: They released their first official single and a music video after three years this summer and also gained two new members only a few months ago. 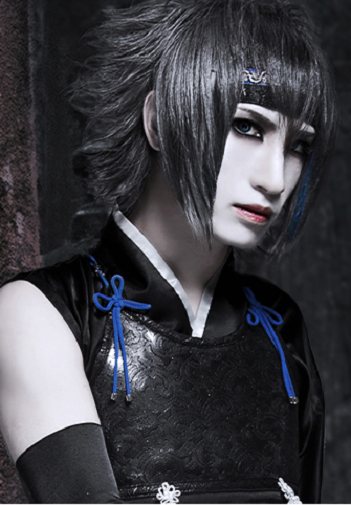 But now bassist Aoshi announced to depart. Aoshi and vocalist Mikoto have been in three bands together for the past six years. Actually, they have never been in an official band without each other. Now this will change since Aoshi will leave ZigZag after the band&apos;s live on January 25th, 2019 at BigCat in their hometown Osaka. No reason has been given but according to the statement Aoshi wants to talk about it at his last live. Just recently the band started being more active and visible on social media and letting labels and event organizers post photos and even videos of them. Some of the members even started own social media accounts, among them also Aoshi who opened an instagram account just last month.